in Creative & Tech with tags brunch, Kahlúa, millennials, Social Media Both comments and trackbacks are closed. This spring, Kahlúa and 360i are taking a fresh approach to targeting millennials with a new campaign called “Just Add Kahlúa”. With its launch earlier this month, “Just Add Kahlúa” aims to showcase how simple it is to add Kahlúa to any iced coffee during millennials’ favorite meal – brunch. To kick off the campaign (and poke some signature Kahlúa-style fun at typical brunch cocktails), the brand asked consumers on social to brainstorm potential drink names for a Kahlúa and iced coffee. The quest for a name will culminate this Thursday on National Iced Coffee Day (May 25), when the brand will reveal that, rather than choosing just one name, they’ve determined it doesn’t matter what you call the drink – what matters is that consumers Just Add Kahlúa. 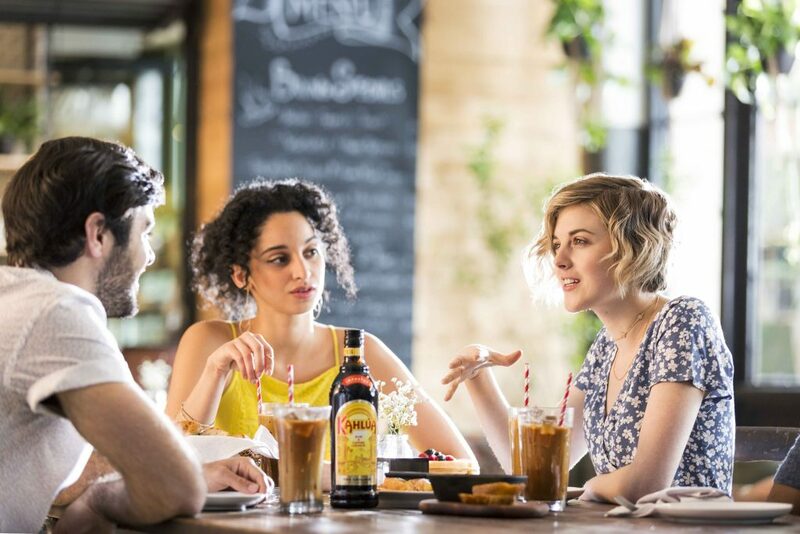 Utilizing social listening, 360i worked with Kahlúa to develop a new communication opportunity for the coffee-flavored liqueur brand based on an existing consumer behavior – consumers were adding Kahlúa to non-alcoholic drinks. From there, the teams worked together to identify two additional consumer trends unique to millennials: their love for iced coffee and brunch. Because Kahlúa is typically known for winter drinks and “classic cocktails” (like the White Russian), creating a warm weather campaign that features adding Kahlúa to non-alcoholic drinks marked a true departure for the brand. With integrated media and creative from 360i, the campaign was further supported by a variety of social placements popular amongst millennials – from Snapchat filters to Instagram Stories. Kahlúa has also partnered with TimeOut to create “Best Brunch Spot” articles with corresponding branded media placements in three key markets. The brand also sponsored DonutFest, TimeOut’s springtime donut and cold brew coffee party in NYC. Already, consumers have expressed excitement for the new drink combo on social, reinforcing the strength of the campaign insight, creative concept and media targeting. So, the next time you’re at brunch, try ordering a Kahloffée, a Coffkahafay, a Khacoffee or a Coffalloffee – or whatever, just Just Add Kahlúa.